By the Wanli period, the imperial palace in Beijing was not as prescriptive about designs as it had been in the past, and there was a decrease in imperial orders as the court was distracted by more pressing political matters. Potters had to find new markets, so designs changed and new styles emerged. 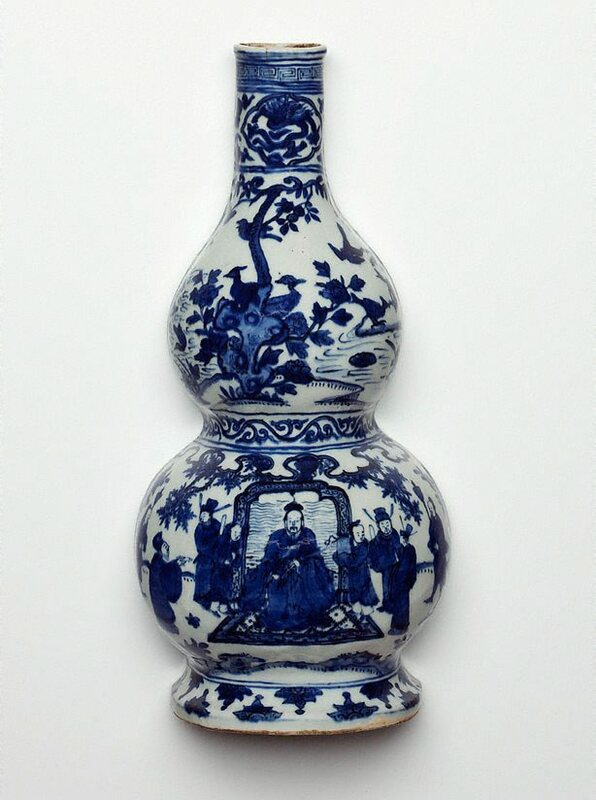 The literati were keen customers and would have bought works such as this wall vase with a popular figurative subject of scholars in a garden and the tripod censer in antiquarian style (Acc.no 133.2000). Asian Collection Handbook, Art Gallery of New South Wales , 'Chinese Porcelain', pg. 30-41, Sydney, 1990, 33 (colour illus. ).